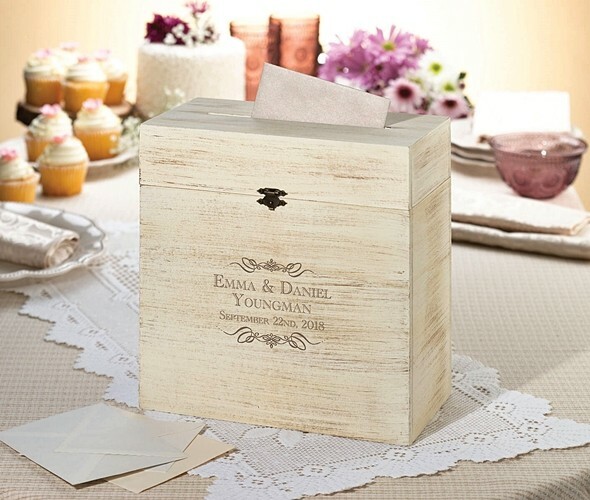 Dimensions: 10" x 10" x 5 1/4"
Invite your guests to write down their well wishes and slip them into this rustic wooden card box that will become a cherished keepsake of your special day. Even better, it may be personalized with your names and wedding date. Metal-latched opening. PLEASE NOTE: This item cannot be shipped to Canada. Enter up to 24 characters.